Tokyo - SW Law Group, P.C. SWLG’s Tokyo Office was established in 2013 after our Senior Partner, David Sindell, was admitted as an Attorney at Foreign Law in Japan. He is one of a few licensed attorneys of Foreign Law in Japan, specializing in U.S. immigration, and SWLG is the only firm providing such services in Tokyo with bicoastal offices in the U.S. The Tokyo Office serves as a focal point for our firm so that we may consistently provide top-quality immigration services for Japanese corporations and nationals. Our Tokyo team specializes in providing accessible, personalized assistance and care to many of our multinational corporate and individual clients based in Japan. 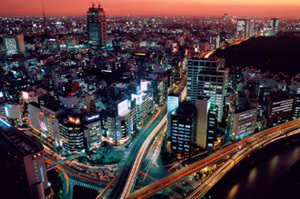 Our clients in Japan include major, publicly traded companies in various industries from food distributors, semiconductor manufacturers, mobile game developers, and utility providers to hospitality services, restaurants and manga illustration, as well as start-ups and high-net-worth individual investors.